There is a great power that resides deep within you. This power, a wise inner mentor, is the voice of your soul. When you learn to access and use its wisdom, you make the highest choices for your life. This guided relaxation process is designed to help you turn your vision inward so you can stay connected to this wise inner voice. 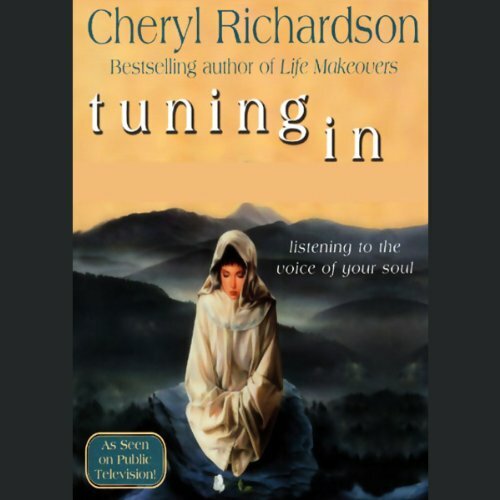 ©2002 Cheryl Richardson (P)2002 Hay House, Inc.
What the little blurb listed above doesn't tell you is that there are actually three meditations on this selection, each one longer than the one before. The first meditation is about 10 minutes or so, and it just goes up from there. This is an excellent choice because you can choose a meditation depending on how much time you have to spend on it. I hope this is helpful! I like to listen to this before bed or during the day when I need a break. The music is relaxing and the guided meditation is simple. Very relaxing. 3 lengths in one. Good audio. It's a meditation guiding audio by any other name. But for someone who's heard very few, i think it was well done. It's multi-instrumentalist structure does make it more valuable and flexible. I liked it very much .